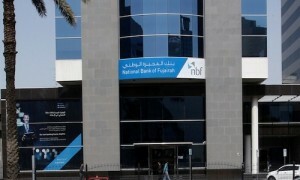 NBF wins "Best Local Bank in UAE" | Business Today Middle East NBF wins "Best Local Bank in UAE"
National Bank of Fujairah, NBF, announced today that it has won the award for ‘Best Local Bank – UAE’ at the EMEA Finance Middle East Banking Awards 2015. Organised by EMEA Finance, a bi-monthly publication that covers debt and equity markets, deal making, project finance and transactional banking in emerging Europe, the Middle East and Africa, the awards enters its eight year and is widely seen as a benchmark for excellence in the regional financial services sector. In bestowing the award to NBF, EMEA Finance is acknowledging the bank’s rising stature in the international arena and its ambition, says the magazine’s publisher and CEO Christopher Moore. “NBF’s 2015 results for the first nine months of the year and its performance post the global financial crisis are impressive. Notable are the bank’s strong net profit growth, its consistent compound annual growth rates and its attention and focus on providing superior corporate and commercial banking services. Additionally, the bank’s initiatives to operate at the highest standards in governance, risk management and in the human resources areas are laudable.